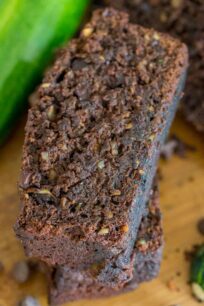 Slow Cooker London Broil is moist and tender, and super easy to make. It will quickly become your favorite meat and potatoes meal to make. 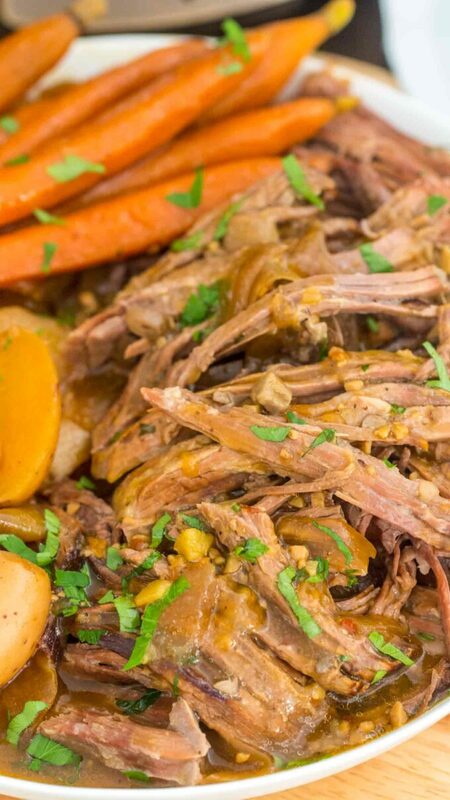 We love slow cooker recipes, because we usually add all the ingredients to it, and leave it for hours to do its magic. 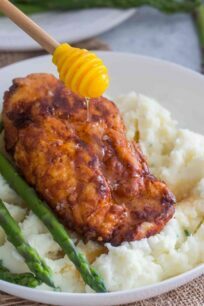 The meals turn out flavorful and very tender. 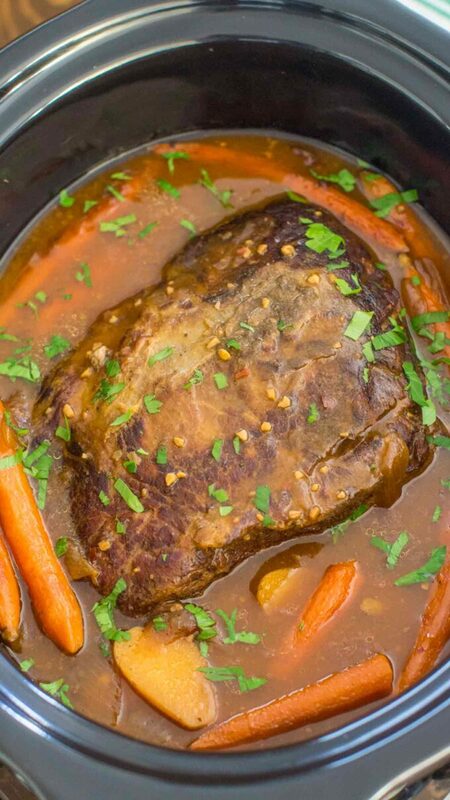 Our other popular crockpot recipes are Pot Roast with Red Wine which is always a huge hit. 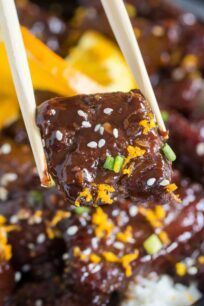 If you are looking for something more fancy, yet easy, these Short Ribs should be on top of your must-try list. 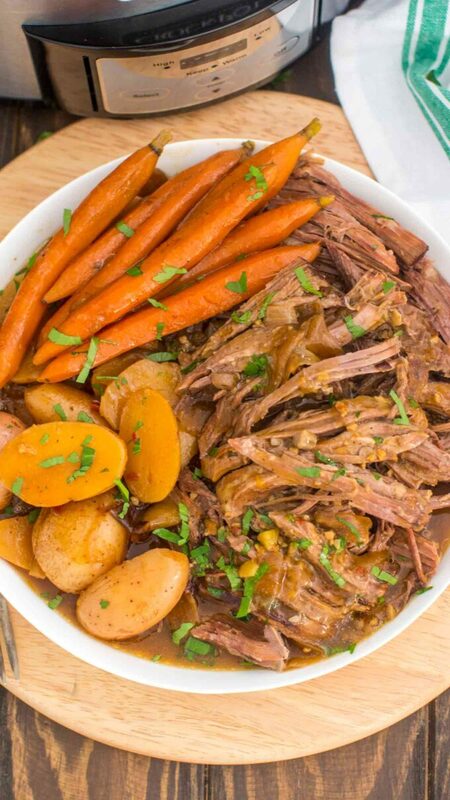 Another great and easy roast is this traditional Yankee Pot Roast. 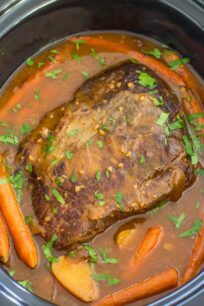 The great thing about this Slow Cooker London Broil recipe is that it’s extraordinarily easy to make. This meal requires few ingredients, which are then put in the slow cooker for hours to cook, for the perfect meal. The meat is slow cooked with a mixture of beef broth and cream of mushroom soup, making it an effortless dish to put together. This dish is perfect for busy weeknights. You just can’t beat the convenience. 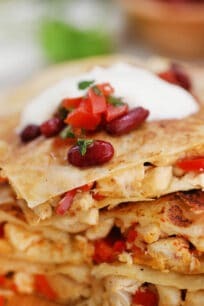 It is also very versatile since you can add or skip the veggies, or substitute them with your favorite once. 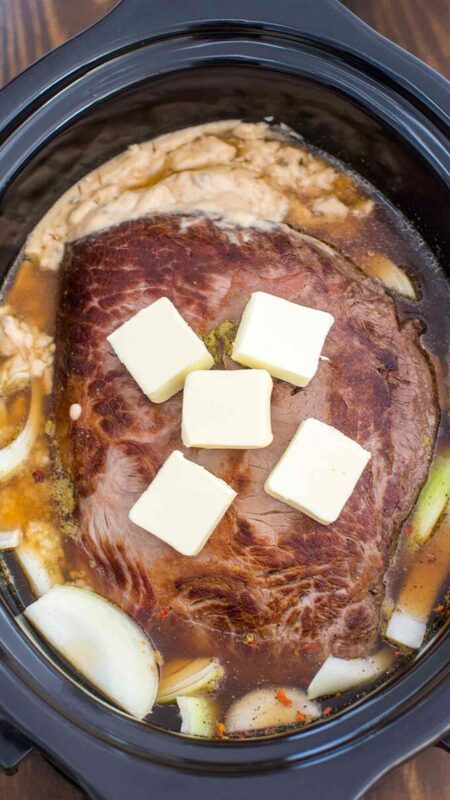 HOW TO MAKE SLOW COOKER LONDON BROIL? We like to brown the beef before adding it to the slow cooker. However, this step is optional in case you are in a hurry. First, season beef with salt and pepper. Place a large cast iron pan or Dutch oven on the stove over medium-high heat. Once hot, add oil and sear roast on all sides for about 1-2 minutes on each side. Until it is nicely browned. Transfer the meat to the slow cooker. Add the rest of the ingredients, except potatoes and carrots list. Stir to combine. Cover with the lid and cook for 4-5 hours on high, or 8-9 hours on low. If you want to add carrots and potatoes, add them to the crockpot when there are 2-3 more hours of cooking left. Cover and continue cooking until tender. Place the London broil on a serving platter and carve. Arrange the potatoes and carrots around the roast. Garnish with parsley. Use your favorite veggies in this recipe. We prefer a mix of carrots, onions, and potatoes. Any root vegetables work well in this recipe. Mushrooms are a great addition as well. Also, we like adding whole mini red potatoes to the slow cooker, this way they don’t get mushy. Brown the beef, it will improve its taste and also will lock in all the delicious flavors and juices. In addition, try using a low sodium beef broth. You don’t want to end up with a salty roast. Similarly, replace the wine with beef broth, if you prefer to not use alcohol. The butter can be skipped to cut on calories. It’s used to add extra richness to the gravy. What meat cut is best to use? As the name suggests, this recipe calls for London broil cut. 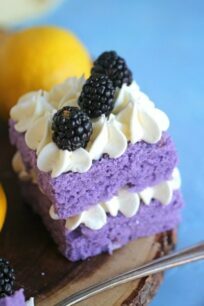 It is a leaner cut with good flavor. Another good choice for this recipe would be round steak, or the 7-bone steak or chuck steak. 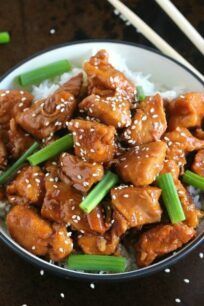 These are perfect as well, because they have a bit higher fat content, and therefore the meat becomes very tender in the slow cooker. How long do I cook London Broil in a slow cooker? For optimal tenderness, the meat should be cooked for about 8-9 hours on low, or 4-5 hours on high. Check for tenderness and cook more if needed. First, ensure the dish is completely cooled prior to refrigerating. Then, transfer it to a large airtight container, and place it in the fridge. Make sure that the gravy liquid covers at least partially the beef, so it won’t dry out. Store for up to 4-5 days. Beef Broth – I always use organic in recipes, it also adds a tone of flavor, uses low sodium. First, pat dry beef with paper towels and season with salt and pepper on each side. Place a large cast iron pan or Dutch oven on the stove over medium-high heat. Once hot, add oil, and sear beef on all sides for about 1-2 minutes on each side, until golden brown in color. Transfer the meat to an 8 qt slow cooker. Add the rest of the ingredients, except carrots and potatoes, and adding the butter last on top of the beef. Gently stir to combine. Put the lid on the crockpot and cook for 5-6 hours on high, or 8-10 hours on low. If you want to add carrots and potatoes, add them to the slow cooker when there are 2-3 more hours of cooking left. Cover and continue cooking until tender. Combine cornstarch and water in a small bowl until cornstarch is fully dissolved. Add the mixture to the slow cooker when one hour of cooking is left. Gently stir. This will thicken the gravy. Check after 30 minutes, and if needed add more. Once done, transfer the London Broil on a serving platter and carve. Arrange the potatoes and carrots around the roast. Garnish with fresh chopped parsley and drizzle with the gravy before serving. This will be a big hit at my house! Thanks for sharing! Wow! This is definitely a must make! 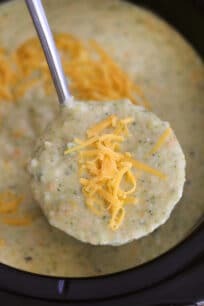 Total comfort food …want to make this weekend! Love how you made this in the slow cooker! Saving! 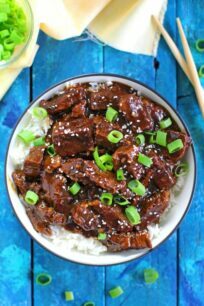 This is another super easy slow cooker recipe! Meat was tender and the gravy was just right! Made this as written. Wow – will definitely make this – almost as written. 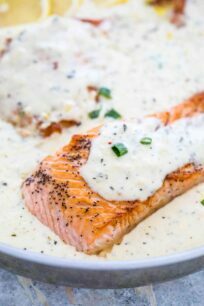 Only 2 changes – one is the soup – Healthy Request Cream of Mushroom Soup and the other is to change to Better than Bouillon Beef Base for those of us that are allergic to MSG – as I am. And for sure it’s not in my head – but in my stomach. Thanks again for posting this recipe.